Mad Science camps are designed for exciting and fun, hands-on science activities. 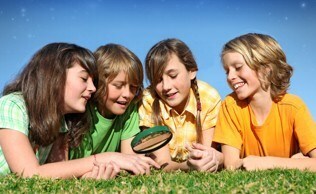 Your child will become a junior scientist for the week, having the opportunity to experience a variety of adventures. We use an inquiry-based technique that allows even the youngest camper to enjoy learning. Children will design, create, build and assemble a variety of interesting projects and will take at least one project home every day. We will provide everything your child will need. A nut-free snack and water will be provided. Children should dress comfortably and come ready to have some fun! What does a typical day of Mad Science Full Day Camp look like? We carry a ratio of at least one instructor per twelve children. Summer camps are appropriate for children entering grades 1-5 this September. School break camps are typically open to children in grades K-4. Yes. We use a buddy system whereby the older children will sometimes help the younger ones. Also, with our one to twelve ratio in every camp, there is always plenty of help. For most of the activities, the children work in small groups. Our instructors are selected from our staff who have worked for us presenting our after-school programs that we conduct in over 60 schools every Fall, Winter & Spring semester. All of them have experience working with children. We also do a background check on each one through the NY State Dept. of Education. Every one of our scientists love working with children. This is the 20th year that we will be running our week long summer camps in the area. Mad Science of Westchester & Manhattan is a franchise of The Mad Science Group in Montreal Canada. There are over 160 Mad Science franchises all over the world. 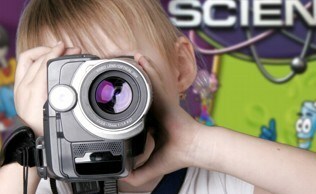 The Mad Science Group has been providing Mad Science programs for over 20 years. You can register and pay for most camps with VISA, MasterCard, Amex or Discover right on this web site by clicking here. You may also call us and we will be happy to take your registration over the phone. For those sites which we don't handle the registration, we would be happy to direct you to the hosting entity. This is the toughest question we get because we have no idea. Some camps and dates fill very quickly, while some may have spaces available up to the start date. We recommend that you register as soon as possible to reserve your child a space! If you cancel within 4 weeks prior to the camp start date, a $50 cancellation fee per camp will be charged. After the first day of camp, if your child does not wish to continue, the $50 cancellation fee will be charged and the balance will be refunded. However, you must call Mad Science at (914)948-8319 prior to the start of the second day of camp to obtain a refund. After that, no refunds will be given. If we do not get sufficient enrollment to hold the camp (a minimum of 10 children per half-day camp) we will issue you a refund. There is a $5 fee charged if you cancel more than 4 weeks prior to the applicable camp start date. These policies apply only to camps which Mad Science handles the registration directly as our partners may have their own refund policies. Can I sign my child up for more than 1 camp? Yes. Many children sign up for multiple camps. Each one is totally different so that your child can enjoy them all without repeating activities. Some camps have remained the same as last year, but each summer we offer some new topics. Additionally each year we make some changes so there will be a few different things. We have had a lot of children take a particular camp again and still enjoy it the second time. Are these the only locations where you are holding your camps this summer? Maybe not. We may be adding locations. Also, if you can get at least 10 children and can provide a location, we will bring a camp to you. Usually, we can customize something to fit the times and dates that you want. Call us, we'd love to discuss this further if you're interested. Do you provide a lunch with the full day camp? We will provide a mid-morning and/or a mid-afternoon nut-free snack along with a non-carbonated drink. At our Camp Armonk location lunch is available for a fee. All other locations with full or extended day options require your child to bring a bag lunch. Do you offer Late Pick-up? There are no late pick up options at any of our sites this summer.